Some great buys on some very nice gear on this page. Call or email to discuss and make buying and delivery arrangements. We'll gladly deliver if you're within our travel area. 5.25" woofer, folded ribbon tweeter, ported. High gloss cherry finish. Lightly used, like new. 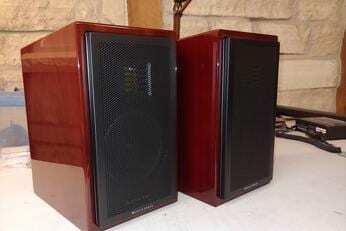 Very nice pair of Polk Audio Monitor 5 Gen I speakers. 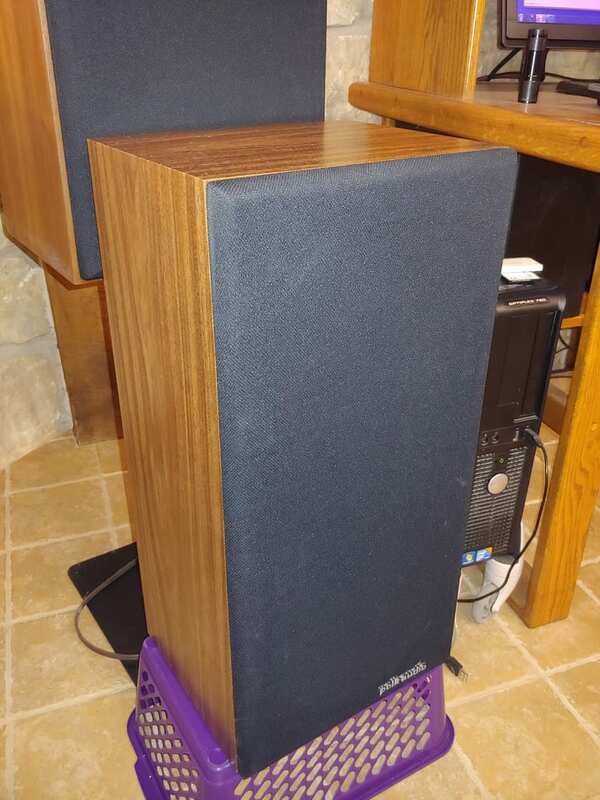 Considered medium bookshelf speakers, or floor standers if you want to put them on a stand. 1" Peerless tweeter, 6.5" mid bass driver, 8" passive radiator. Tweeters are externally fused on the back. Grill cloths are perfect - no holes, tears or stains, both logo badges are present. Cabinets are very close to perfect - no major blemishes, very minor scratch or two that are not visible from more than two feet away. Corners are intact. As close to perfect as it gets for a speaker of this vintage. 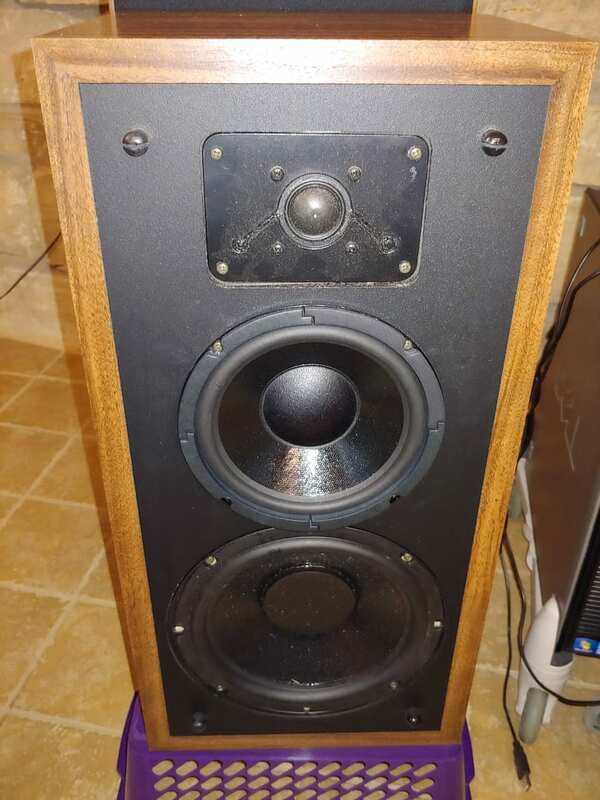 Polk speakers of this era used a woofer that was known for failing - the magnet assembly would come unglued, the magnet would shift and freeze the whole assembly. That was true for these as well. Woofers have been replaced with matching replacement units, much higher quality than the originals. The bass response is exceptional for a speaker this size. 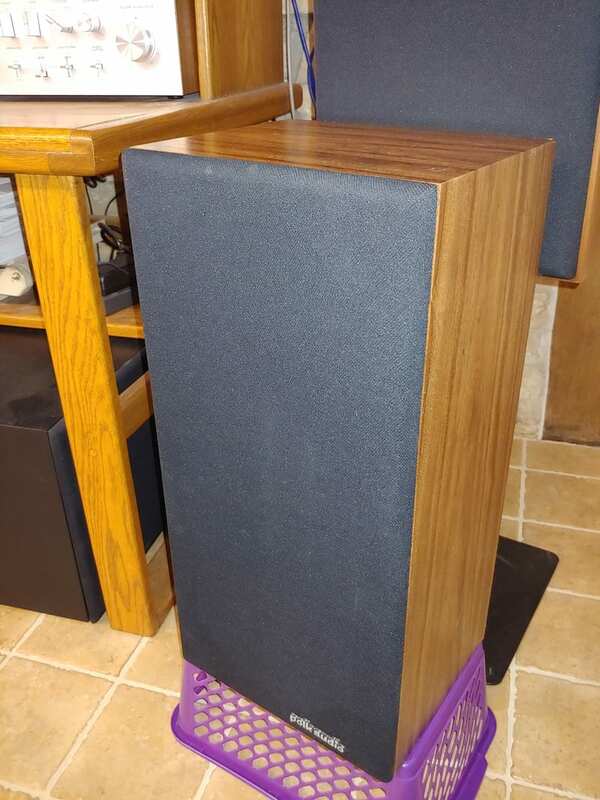 These speakers sound and look great. If there is a Swiss Army Knife of audio tools, this has to be it. The Behringer Ultracurve Pro DEQ2496 is a 24-bit/96kHz Equalizer, Analyzer, Feedback Destroyer and Mastering Processor. Essentially, it's an entire rack of powerful tools, all designed to correct problems and generally max out sound quality. Its most useful feature is its digital EQ, both graphic and parametric. Since it is a digital device, EQ can be applied with no degration in sound quality. You can use its high quality converters to run analog in and out, or use its digital inputs to bypass the converters and use just the digital section. Excellent and inexpensive way to handle room and speaker problems. This unit is in excellent condition with original packaging and measurement microphone. 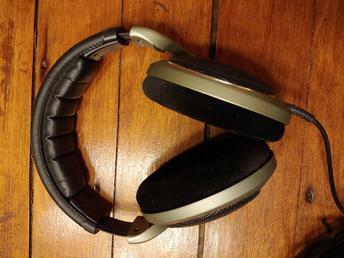 Highly regarded audiophile quality headphones. Open back design, very comfortable, like-new condition. Mon - Fri: 8 AM - 5 PM But Call Any Time! © 2019, Sweet Spot Audio Video Systems. All Rights Reserved.